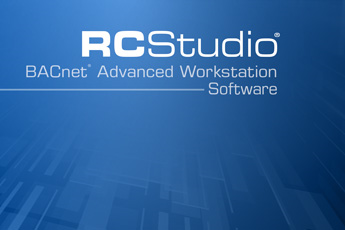 RC-Studio is a powerful and intuitive Windows based application that allows building engineers and operators to "think outside of the box" and create control programs and interfaces that are limited only by the imagination. RC-Studio provides unrestricted database point definition using intuitive database worksheets. A versatile Control-BASIC language is used to program any control sequence. A flexible system group feature gives programmers the freedom to import high resolution, full colour graphics from any 3rd party application and create multi-level interactive GUI to satisfy all levels of operation. Points of any type can be easily defined, modified and accessed using intuitive database worksheets. The graphical user interface (GUI) can be easily created by importing 3rd party graphics. This allows us to create interfaces to suit any type of equipment.